The Great Wall of China is steeped in vast amounts of history, and is one of the most interesting and diverse places to visit. It stretches across miles and miles of land over China – and isn’t called Great for no reason. So how do you go about picking the best part to visit? Each section of the Great Wall is unique in it’s own way, attracting different audiences for different reasons. This means that looking at a Great Wall of China map can be very daunting. So, we’ve put together a list of the best sections to go to, what perks each section has, and how to get there. Depending on which area you’d like to visit (see below), there are different ways to get to the wall. The most popular spot to head to the wall from is Beijing, China’s capital city. To get from Beijing center to the Great Wall, there is a variety of options. The Mutianyu Great Wall section is the most popular to visit for travellers, tourists, or those visiting as a family. Due to it being the best restored part of the wall, it is the most child-friendly section and easiest to enjoy. Taking just half a day to visit, and facilities such as a cable car both up and down, this is the section to visit if you’re short on time. Beijing to Great Wall by train: This is the most simple way. From any of Beijing’s stations, head to Dongzhimen to get the 916 Express bus service. (Around 1hr, 12RMB). Then, transfer to bus line h23, h24, h35, or h36 to Mutianyu Roundabout and walk a short distance to the ticket office. The Badaling section of the Great Wall is solidly on the Great Wall of China map as the most popular amongst Chinese tourists. Due to this, this section is always crowded. Due to it’s popularity, do be warned that your photos may contain more tourists than the actual Great Wall itself. Facilities here include cable car service, the Great Wall Museum, and in some parts there is wheelchair access. Beijing to Great Wall by train: Take the train departing from Huangtudian Railway Station to Badaling Railway Station. (1.5hrs, 7RMB). It is then a short 15 to 20 minutes’ walk to the entrance. 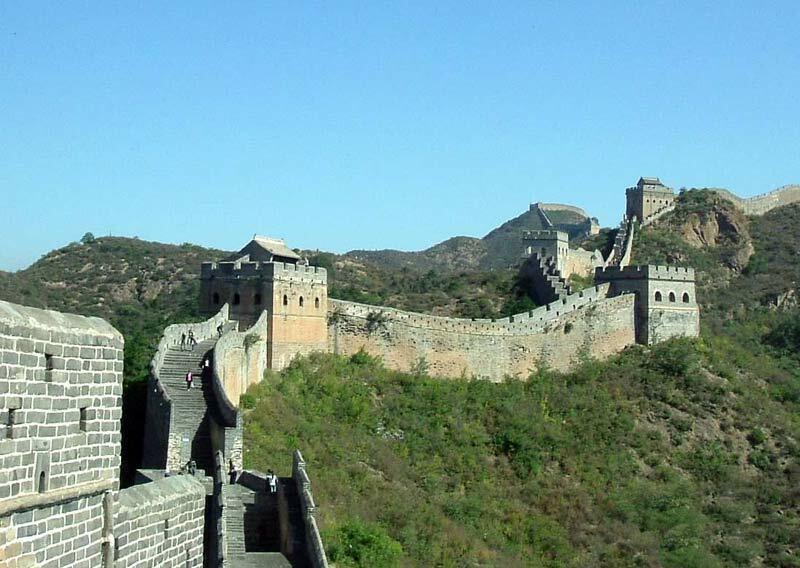 Beijing to Great Wall by bus: The best option is to take the 877 bus departing from Deshengmen – a short walk from Jishuitan Line 2 subway station (Exit B2). This will take you directly there and take 1hr, 12RMB. This section of the wall is the one for those who are seeking adventure. It is the most dangerous and difficult part of the wall to climb, with many areas very steep and treacherous. Make sure you’re covered with travel insurance! At three hours away, it is great for a day trip to the Great Wall. The best way to reach this section of the wall is by heading to Xizhazi Village or Wofo Mountain Villa which are commonly known as the starting points. You can get to these areas by taking bus number H25 at Yujiayuan station (Xizhazi Village) or bus number H36 (Wofo Mountain Villa). If you want a more convenient way to travel, you can always get a taxi which will be around 100RMB. Simatai offers a pleasant medium for those wanting a tough hike, and those wanting peace and tranquility to enjoy the surrounding beauty. Acknowledged as a World Heritage Site in 1987, it is a more peaceful section of the wall with a variety of architecture. It is also open for night tours, or perfect for day trip to the Great Wall. Take the subway to Dongzhimen station (line 2/13) and from there you can transfer to a tourist bus to Gubei Water Town, where the start of the hike begins. You can also take the local bus numbers 980/ 980 which goes from Dongzhimen to Miyun Xidaqiao. From there, you can change to bus number 51 to Gubei Water Town. 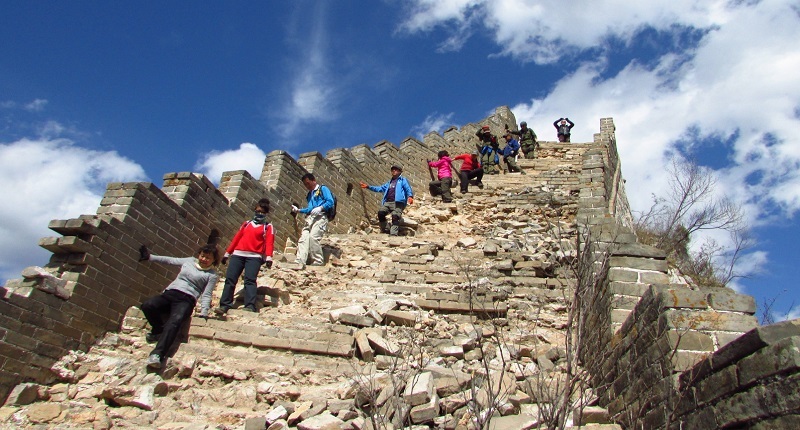 Jinshanling is the most popular section with hikers, due to it only partly being restored. The other part is relatively wild, offering both a challenge and a pleasant walk. It is also arguably the most beautiful section of the wall, with incredible mountainous scenery across the 10km stretch. Head to Dongzhimen (line 2/13) and you can take a tourist bus straight to the location. Be aware, this bus only leaves if there are more than 20 people and runs once at 7:40, returning at 16:00. You can also catch the bus from Wangjing West Station. This area of the wall is unlike others. It is where the Great Wall meets the sea, and is the end part of the Ming Dynasty Great Wall. It previously served as a frontier against the Manchus. 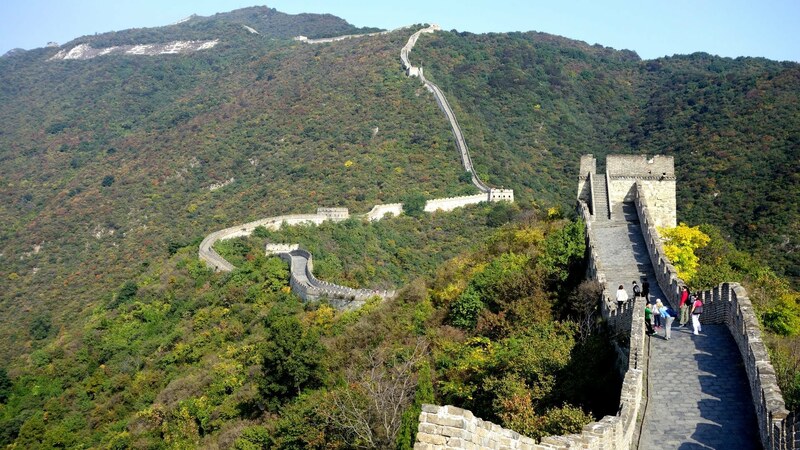 Due to its distance, you will need a full day trip to the Great Wall to get the most of it. From Beijing, first take a train to Qinhuangdao Railway Station. From here, change to a train to Shanhaiguan Railway Station. The south gate is about a 10 minute walk on from this. This stretch of the wall is filled with history, with over 130 battles with the Mongol tribesmen happening in this area. Historically, it played a very key part in history as it guards an important pass to Beijing. Therefore, it is best to visit with a local guide who can keep you up to date on all of the history you’re passing by. It’s a great place to visit as a first or second visit, as it is largely wild and unrestored. From Dongzhimen, take the number 980 Express to Miyun Bus Station. You can then change line to bus Mi 25 which will take you straight to the scenic spot. Huanghuacheng Great Wall section is most famous for its unique scenery. Notably, the lake surrounding it. Parts of the wall are also underwater. There are many original parts of the wall, as well as original watchtowers, since it is largely unrestored. Since it is convenient to visit, it can either be done as a day trip to the Great Wall or as a half-day trip. Sightseeing bus: Buy a combo ticket (bus return and entrance fee) from Dongzhimen Public Transport Hub. Buses only operate during peak season! Public bus: Bus no.916 to Huairou Bus Station, and then transfer to bus no. H21 to the Small West Lake (Lakeside Great Wall) Station. From here it is a short walk north to the scenic area. 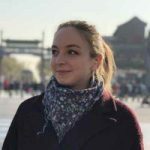 A Marathon, on the Great Wall? Welcome to China! 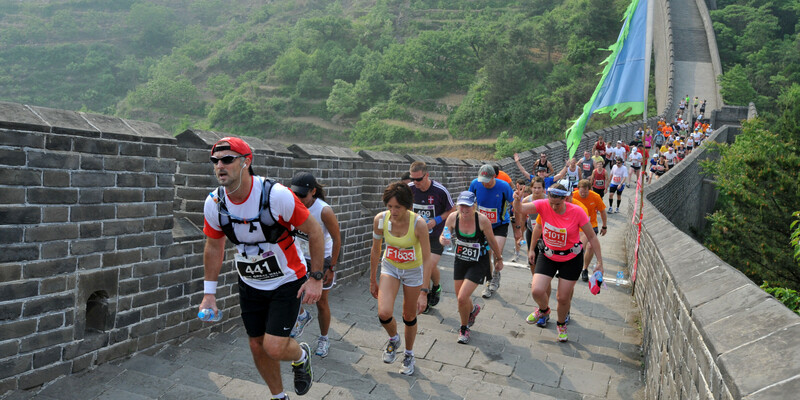 At Huangyaguan, the Great Wall Marathon takes place every year in May. Often known as a miniature version of the Great Wall, you can find battlements built by the Ming Dynasty as well as the Northern Qi Dynasty. Beijing to Great Wall by train: Take a train to Jixian County Railway Station (1hr, 14.5RMB) then take a coach or private mini-bus to the start of the walk. 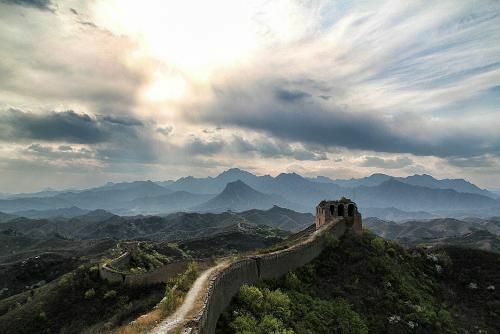 The closest section to Beijing, this section is perfect for those not prepared to do a full day trip to the Great Wall, but instead want to spend half a day. It is fairly accessible for wheel-chair users, and therefore suitable for handicapped travelers. It can be a bit crowded during tourist peak season, so try earlier or later months of summer. Get to subway station Huoying Station and take the exit G4 where you will find the train station Huangtudian Railway Station. From here, you can take the S2 train to Badaling Station and get a free shuttle bus to transfer to bus no. 879 which will take you to the start of the hike.